The Slovenian new cabinet led by Prime Minister Marjan Sarec were sworn in following endorsement by the National Assembly on Thursday as Slovenia's 13th government since independence, the first minority cabinet to date. According to Slovenian Prime Minister Marjan Sarec, the government's priorities will be healthcare, the economy and the defence and security system. "These are the topics most that keep most of Europe busy. We'll get down to those right away," the local media reports quoted Sarec as saying. The coalition of the centrist Marjan Sarec List, Modern Centre Party, Alenka BratuSek Party, Pensioners' Party, and the centre-left Social Democrats, only has 43 of the 90 seats in parliament. However, the coalition signed a partnership deal with the Left, which pledged that its nine MPs would not oppose the cabinet's appointment. In the vote, the Sarec cabinet was backed by coalition MPs, as well as the two MPs representing the Italian and Hungarian minorities, while the Left abstained, and the Democratic Party (SDS), New Slovenia (NSi) and National Party voted against. Janez Jansa, the leader of the SDS, had won the June 3 election but could not form a coalition. 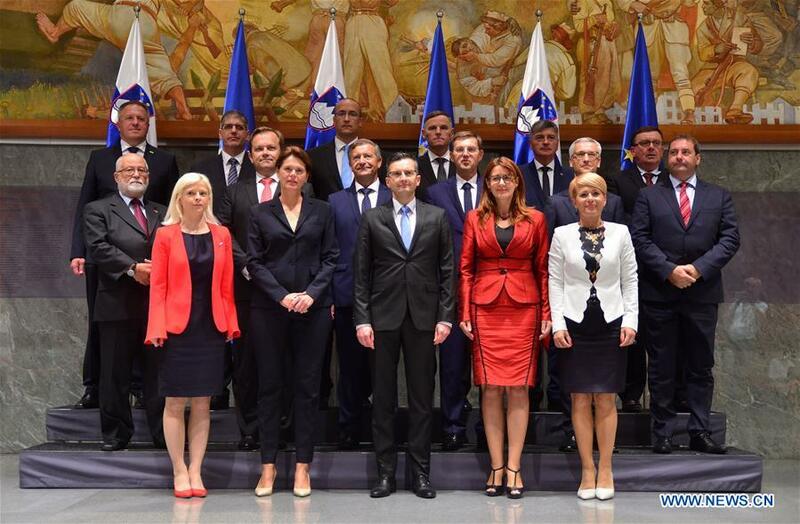 The cabinet, which was formed more than three months after the election, includes two former prime ministers, Miro Cerar and Alenka Bratusek, four former ministers and three former state secretaries. Only four of the 16 ministers are women. The government includes all coalition party leaders, except SocDem leader Dejan Zidan, the former Deputy Prime Minister and Minister of Agriculture, Forestry and Food, who was appointed speaker of the National Assembly.